Docker is quickly becoming mainstream, as a method to package and deploy self-sufficient applications in primarily stateless Linux containers. But for a stateful service like a database, this might be bit of a headache. How do we best configure MySQL in a container environment? What can go wrong? Should we even run our databases in a container environment? How does performance compare with e.g. running on virtual machines or bare-metal servers? How do we manage replicated or clustered setups, where multiple containers need to be created, upgraded and made highly available? 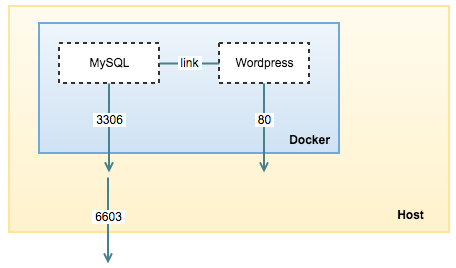 So, welcome to our new blog series - “MySQL on Docker”. We will touch upon swarms, shared volumes, data-only-containers, security and configuration management, multi-host networking, service discovery and implications on monitoring when we move from host-centric to role-centric services with shorter life cycles. 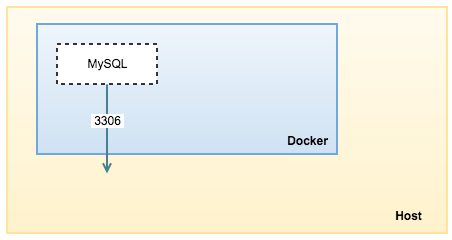 In our first blog post, we are going to cover some basics around running MySQL in a container. We are going to use the term ‘Docker’ as the container platform throughout the blog series. Think about a container as a “lightweight virtual machine”. Unlike virtual machines though, containers do not require an entire operating system, all required libraries and the actual application binaries. The same Linux kernel and libraries can be shared between multiple containers running on the host. Docker makes it easy to package Linux software in self-contained images, where all software dependencies are bundled and deployed in a repeatable manner. An image will have exactly the same software installed, whether we run it on a laptop or on a server. The key benefit of Docker is that it allows users to package an application with all of its dependencies into a standardized unit (container). Running many containers allows each one to focus on a specific task; multiple containers then work in concert to implement a distributed system. The traditional way to run a MySQL database is to install the MySQL packages on a host (bare-metal, virtual machine, cloud instance), and applications would just have to connect to the listening port. Most of the management tasks, for example, configuration tuning, backup, restore, database upgrade, performance tweaking, troubleshooting and so on have to be executed on the database host itself. You would expect to have several ports accessible for connection, for example port TCP 22 for SSH, TCP 3306 for MySQL or UDP 514 for syslog. In a container, think of MySQL as one single unit that only serve MySQL related stuff on port 3306. Most of the operation should be performed under this single channel. Docker works great in packaging your application/software into one single unit, which you can then deploy anywhere as long as Docker engine is installed. It expects the package, or image to be run as a single process per container. With Docker, the flow would be you (or someone) build a MySQL image using a specific version and vendor, package the image and distribute to anybody who wants to quickly fire a MySQL instance. 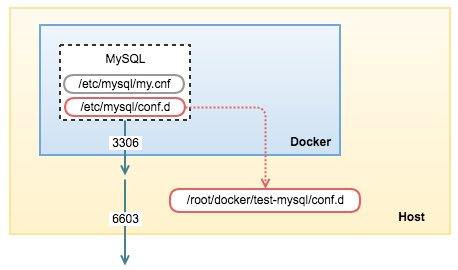 Let’s familiarize ourselves with a MySQL container running on Docker. We’ll take a ‘break/fix’ approach, so expect to see some errors pop up here and there. We’ll look at the errors and see why they happen. We are going to use the official MySQL image created and maintained by Docker. To begin with, we must have a host. It can be any type of hosts (physical or virtual) running on Linux, Mac OS X or Windows. Please refer to Docker’s installation guide for details. 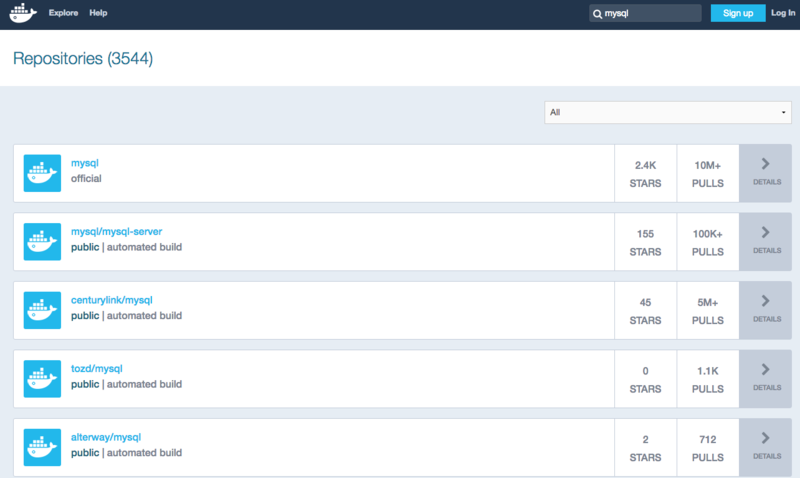 You can also use docker-machine to provision hosts on a supported cloud provider like DigitalOcean and AWS EC2 Container Service, but we will cover that in another blog post. Here, we are going to use Ubuntu 14.04 as our machine host and use standard command line for deployment and management. Next, find a container image that you want from the Docker registry. It can be a public registry like Docker Hub or a private registry, where you host the containers’ image on-premises, within your own network. If you can’t find the image that fits you, you can build your own. run - Run a command in a new container. --name - Give a name to the container. If you don’t specify this, Docker will generate a random name. mysql - The image name as stated on the Docker Hub page. This is the simplest image name. The standard is “username/image_name:tag”, for example “severalnines/mysql:5.6”. 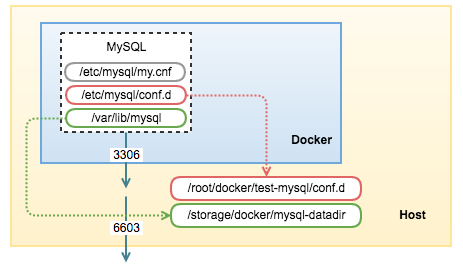 In this case, we specified “mysql”, which means it has no username (the image is built and maintained by Docker, therefore no username), the image name is “mysql” and the tag is latest (default). If the image does not exist, it will pull it first from Docker Hub into the host, and then run the container. Under the ‘STATUS’ column, you can see the status was “Exited (1) 6 minutes ago”. If a program ended while returning a non-zero value, it means that the program was terminated with some kind of error. So, what happened? The MySQL image was successfully downloaded but Docker failed to run it as container because the environment is not properly set up. This is stated in the error lines. FATA Error response from daemon: Conflict. The name "test-mysql" is already in use by container 80b4914976a2. You have to delete (or rename) that container to be able to reuse that name. 2016-06-01T12:06:59.543352Z 0 [Note] mysqld: ready for connections. The application can now see an entry with IP address and hostname related to the linked MySQL container. If you restart the MySQL container and get another IP address, the entry will be updated by Docker accordingly. At this point, we can now access the MySQL container directly from the machine’s port 6603. The container comes with a standard MySQL 5.7 configuration options inside /etc/mysql/my.cnf. Let’s say our application that connects to this MySQL server requires more max_connections (default is 151) during startup, so we need to update the MySQL configuration file. The best way to do this in a container is to create alternative configuration files in a directory on the host machine and then mount that directory location as /etc/mysql/conf.d inside the mysql container. This will start a new container test-mysql where the MySQL instance uses the combined startup settings from the default /etc/mysql/my.cnf and /etc/mysql/conf.d/my-custom.cnf, with settings from the latter taking precedence. This is the easiest way and fairly transparent to the user. The downside is that the files may be hard to locate for tools and applications that run directly on the host system, i.e. outside containers. The other way is to create a data directory on the host system (outside the container) and mount this to a directory visible from inside the container. This places the database files in a known location on the host system, and makes it easy for tools and applications on the host system to access the files. The downside is that the user needs to make sure that the directory exists, and that e.g. directory permissions and other security mechanisms on the host system are correctly set up. drwxr-xr-x 5  999  999     4096 Jun  3 10:13 .
drwxr-xr-x 3 root root     4096 Jun  3 10:06 ..
*If a MySQL container runs on top of an existing MySQL datadir, the $MYSQL_ROOT_PASSWORD variable should be omitted from the “run” command line; it will in any case be ignored, and the pre-existing database will not be changed in any way. 2016-06-10T07:16:59.540373Z 0 [Note] InnoDB: If the mysqld execution user is authorized, page cleaner thread priority can be changed. See the man page of setpriority(). 2016-06-10T07:16:59.551656Z 0 [Note] InnoDB: Check that you do not already have another mysqld process using the same InnoDB data or log files. 2016-06-10T07:17:00.552364Z 0 [Note] InnoDB: Check that you do not already have another mysqld process using the same InnoDB data or log files. This is expected since a MySQL process must exclusively own the MySQL data directory to avoid any potential conflicts. Having more than one mysqld process connecting to the same data directory is just not feasible. That’s why MySQL horizontal scaling can only be achieved via replication. That concludes this blog. Do share your experience in managing MySQL containers in the comments section below.